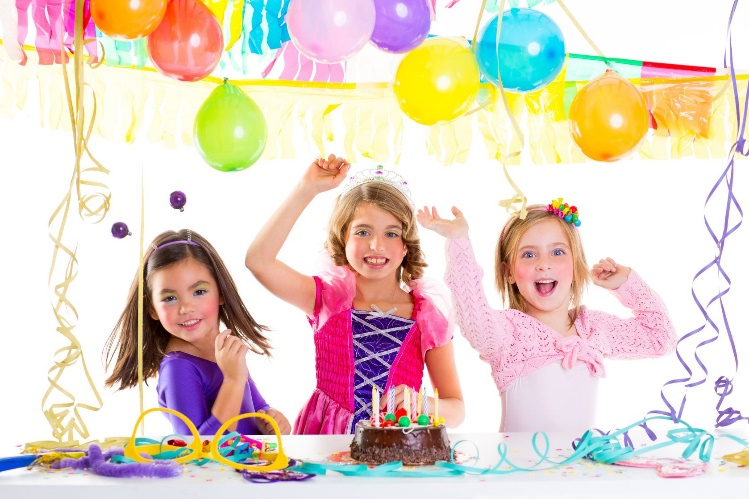 Let us host your dancer’s BIRTHDAY PARTY! HIP-HOP PARTY consists of a Hip–Hop style party theme, and Hip-Hop dance moves will be taught to the partygoers. PRINCESS PARTY consists of the guests dressing up as princesses. A ballet dance to princess music will be taught. ROCK STAR PARTY consists of a Rock Star party theme and a Jazz dance with jamming’ music will be taught to the guests. OUR PARTIES INCLUDE 1 1/2 HOURS OF FUN, INCLUDING 30 MINUTES OF DANCE INSTRUCTION! WE SUPPLY SET-UP AND CLEAN UP, CUPS, NAPKINS, PLATES, SILVERWARE, TABLECLOTH, BALLOONS, AND A TREAT BAG FOR EACH CHILD. YOU SUPPLY CAKE, SNACKS AND DRINKS. *Dress-up costumes for our Princess Party are available at no extra charge. CALL 704-542-4998 for more info. *PRE-book your birthday party online by completing the FORM below! *Please note, we cannot book a party beyond 4 months from the current date. Please complete the following information and hit SUBMIT. A studio representative will contact you to confirm whether the date and time you need is available. A non-refundable deposit of 50% is due to hold your date. Remaining balance due 1 week prior to party date. Birthday Parties are held at the 12210 Copper Way (Ballantyne area) location on Saturday mornings. Please contact us to lock in your date by making a 50% downpayment by Visa, MC, Discov, cash or check.